* You must be in the venue and registered by at least 30 minutes prior to your prelim. If you are late, there is no guarantee that you will be able to compete. Registration is on a 1st come, 1st serve basis. * You must be in the venue and check in at least 30 minutes prior to your elimination. If you are late, you will be disqualified. * All room reservations at the hotel remain the same and the Northshore Community Center & Bandshell venues are walking distance from the hotel. 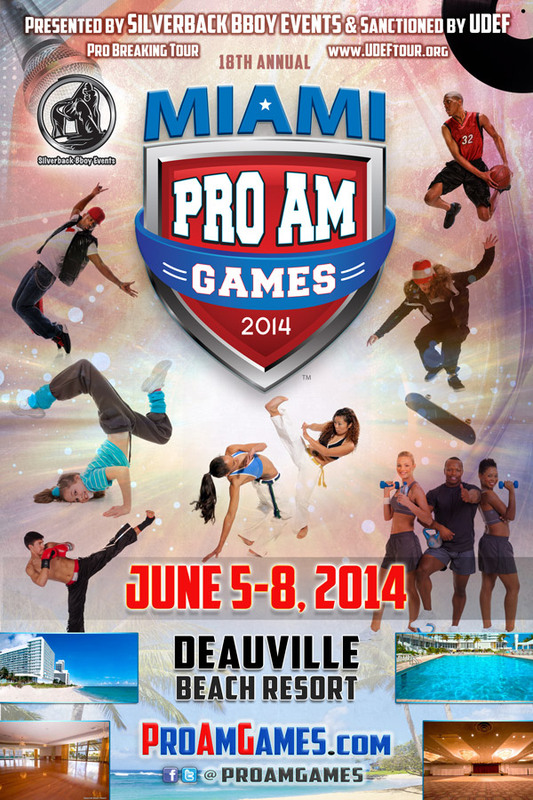 The 18th Annual Miami Pro-Am Games will be held June 5-8, 2014 at the: Deauville Beach Resort on Miami Beach. 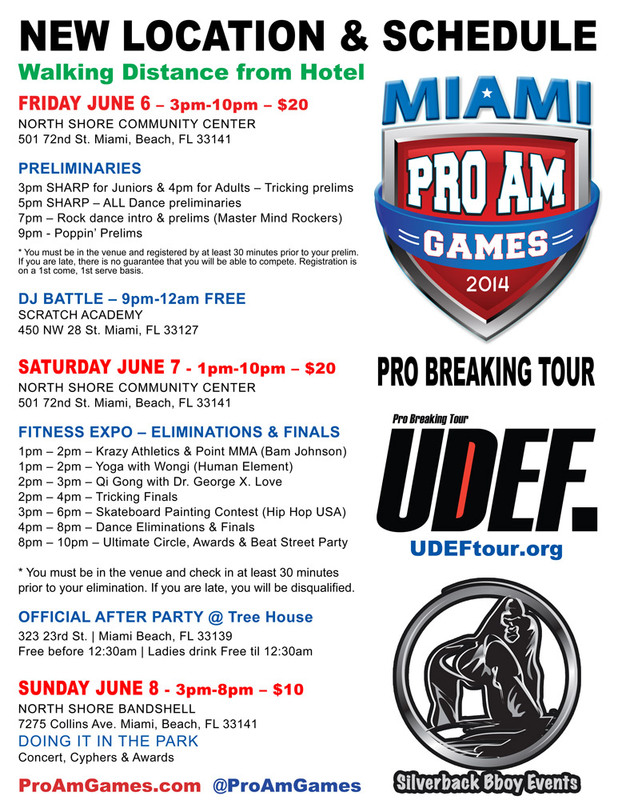 Dance Crews already confirmed from 10+ Countries battling for $12,000 CASH.